Coming Soon to Linton, Indiana! Now scheduling appointments for September 2019. Call 812-847-3381 to schedule. Greene County General Hospital is thrilled to announce that a new orthopedics and sports medicine service line and clinic, named TeamOrtho, located in Linton, Indiana, is coming soon. Board-certified orthopedic surgeon, Dr. John Hammerstein, will join the GCGH family in August 2019. He will perform orthopedic surgical services exclusively at Greene County General Hospital as well as practice in the former Ridge Medical Center building located in front of Greene County General Hospital at 1043 North 1000 West Linton, Indiana 47441. The building is undergoing renovations to accommodate the new services. Dr. John Hammerstein, a 1996 graduate of Indiana University and a later graduate of IU’s School of Medicine, played football for Indiana University. A starter for the final three years on the team, Hammerstein was voted team captain his senior year. Dr. Hammerstein is currently completing an orthopedic sports medicine fellowship at the esteemed Andrew’s Research and Education Foundation in Gulf Breeze, Florida. He began the fellowship to broaden his orthopedics practice by gaining experience in sports medicine. While there, he is actively participating in team coverage of Division 1 football with the Auburn Tigers and overseeing local high school athletic teams. 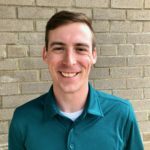 He’s glad to be coming back to Indiana this year, “after growing up in small town America I have wanted to practice in a place like Greene County where patients are also your neighbors. I am looking forward to being involved in the health and well-being of the community.” To find out more about the Andrew’s Research and Education Foundation click here. TeamOrtho is thrilled to offer athletic training to our local schools and communities. Our certified Athletic trainers help enhance performance by optimizing the physical health of student-athletes. They can show student-athlete how to properly prepare for high intensity exercise in order to minimize the risk of both catastrophic and chronic injury. In the event of an injury they can provide immediate care as well as support the student-athlete throughout the entire injury process. This includes preparing for surgery, post-operative care, rehabilitation and returning the student-athlete to competition. Dylan is a graduate of Bowling Green State University. While attending BG he worked with their Division 1 NCAA athletic programs including: football, hockey, baseball, softball, men’s and women’s soccer and tennis. He also has experience working alongside physical therapists and primary care physicians. 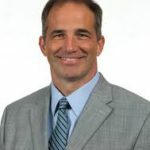 He believes that the most important aspect of a sports medicine program is educating athletes, coaches and parents on the current clinically researched methods injury prevention, care, and rehabilitation methods. The more that an athlete knows, the less likely they are to be seriously injured.